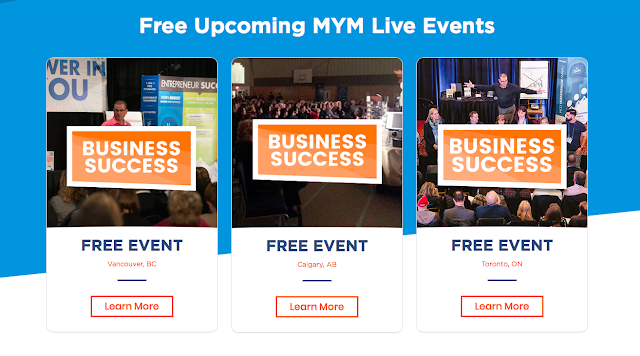 Canadian Business Success Events Provides 2-hour events that are jam-packed with tools and strategies that you can implement in your business immediately. This is not another fluffy "introductory event" like you may have experienced, it's designed to get you on the right track to maximizing growth, sales and profit. This is the first step in getting your Business MBA (Mega Bank Account) and you will learn a ton. This 2-hour event is jam-packed with tools and strategies that you can implement in your business immediately. This is not another fluffy "introductory event" like you may have experienced, it's designed to get you on the right track to maximizing growth, sales and profit. This is the first step in getting your Business MBA (Mega Bank Account) and you will learn a ton. In fact, we will have a notepad and pen ready for you, so that you can walk away with key nuggets to implement in your business. Once you achieve your first "Pinnacle of Success" we prepare you for the next ascent, because through your journey as a business owner you will hit various glass ceilings and wonder why you cannot break through them. The Life System is expertly designed to work on you, the business owner, to grow you personally so that you can break through the glass ceilings and grow your business exponentially. To Achieve your deca-million-dollar business mindset then this is a must-see event. This is a complete life and business altering event. You will never look back and completely realize what has been holding you back from achieving the massive success that you want in your business. We will walk you through eliminating roadblocks, decimating fears, creating daily wealth success habits, learning how to think like the rich, and mostly how to become an inspired business that people line up to work for and line up to buy your products and services. The most common statements we hear after this event are, "Where were you 10 years ago?" and "Everyone who owns a business should attend this event!" Simply, it is that powerful! This event specifically caters to business owners who are looking to take their Growth, Sales, and Profits to the next level. If you have just started a business or are thinking about starting your first business, please contact our office as we have other programs and resources that cater specifically to your needs. 95% of business success is not what you know, it's what happens between your ears… your mindset! 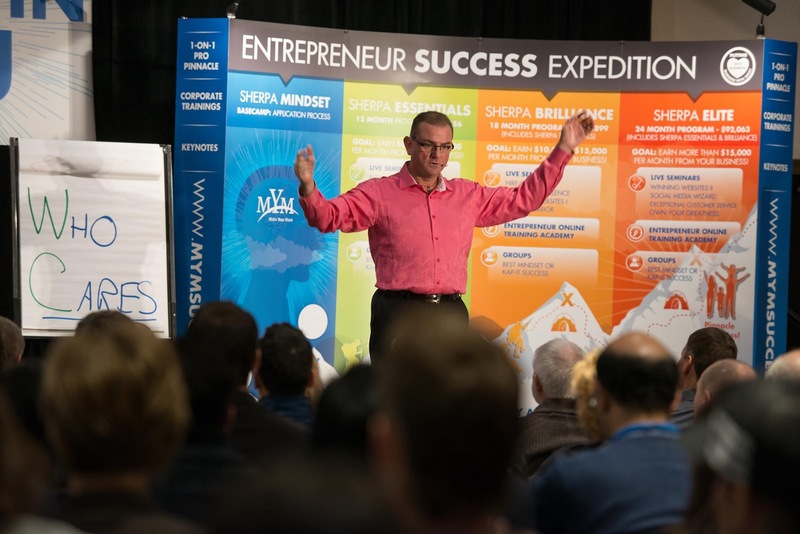 Just like our 2-hour Business Success Event above, this event is full of valuable content, strategies and tools to get you on the path to massive success in all areas of your life. Colin's promise to you, "There is no event like this in the world. It's purely focused on the attendees and when you participate fully, you will accelerate the results you are achieving… guaranteed". The most common statement we hear is "I have been to many other events and this is completely different and really life changing!" MARKETING AND SALES - Learn how to generate more sales, work with better clients and charge higher prices for your products and services. During this 2-hour workshop, we will teach the key strategies behind amplifying your leads and sales 10x with marketing funnels and automation tools that allow you to make money while you sleep and better leverage your time! BUSINESS SYSTEMS - Learn how to stop attempting to grow your business by doing more. Instead, do less and achieve more. With the right systems in place within your business, you can scale through the glass ceilings holding you back to achieve sustainable and scalable growth. We will also reveal the counterintuitive steps to take to find untapped markets for your products and services and how knowing the right systems to have in place will completely rejuvenate your business. MINDSET - Colin Sprake has a mastery level in facilitation and over 3 decades of studying the mind that will have even the most skeptical of attendees melting away years of being “stuck” in debilitating patterns. The first step to building a successful business and breaking through your revenue glass ceilings is to change the way you think and behave. Whether you’re operating a billion-dollar company or just starting out, there are core human behaviours and mindset tools that Colin will help you embody and implement faster than anyone else.